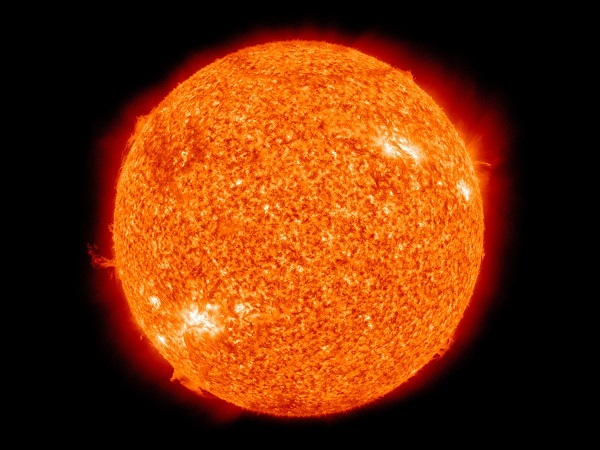 Scientists are analyzing star “DNA” in the search for our Sun’s long lost siblings. Our sun has lost siblings, and now researchers are analyzing “star DNA” in the hopes of finding them. A special project known as the GALAH Survey and formed by a team of European and Australian researchers has been specially set up with this target. Since their mission began, back in 2013, the scientists have analyzed about 340,000 stars. Now, they publicly released their data earlier this week, on Wednesday, April 18. The team is hoping to have examined around 1 million stars or more by the end of the project. GALAH is centered at the Australian Astronomical Observatory (AAO). There, its High Efficiency and Resolution Multi-Element Spectrograph (HERMES) creates a rainbow-like spectrum for each star. Black lines help reveal the chemical composition of each one in part. According to Daniel Zucker, who works at the AAO and Macquarie University, each star has a unique band of lines, “like a fingerprint”. That being said, this “star DNA” will be similar for stars with a common origin. All stars are formed in massive clusters containing thousands of others. Only afterwards do they spread throughout the Milky Way. However, through this sort of stellar “DNA” test, science can now identify which stars are related, including the lost siblings of our own Sun. Fiber optics allows HERMES to analyze 360 stars at once, and each investigation takes about an hour. It took 280 nights to collect information on all of the stars studied so far. Gayandhi De Silva, another AAO researcher from the University of Sydney, added that no other survey has been able to analyze stars as well as GALAH, which can detect more elements. GALAH’s data release comes shortly before April 25. At the time, Europa’s Gaia spacecraft is set to reveal the positions of 1.3 billion star. This should also release an even larger trove of stellar knowledge. A paper with GALAH’s current results is available in the Monthly Notices of the Royal Astronomical Society. Scientists claim to have found a so-called impossible galaxy, one without dark matter. Astronomers have discovered that the NGC1051-DF2 galaxy has no dark matter, but they do not understand why. Traditionally, it was believed that every galaxy had to have some, even though researchers could not see it. Yale professor Pieter van Dokkum says that this discovery was highly unexpected. The unseen matter that makes up about 80 percent of our universe cannot be observed. However, its existence can be recorded through gravitational lensing. NGC1051-DF2, the so-called impossible galaxy, is located about 65 million away, and it only has about 0.5 percent of the stars found in the Milky Way. This galaxy was discovered by the Dragonfly Telephoto Array located in New Mexico. Scientists point out that the stars in this galaxy that moves very slowly account for almost all of its weight. This leaves no room for dark matter and further confirms what scientists believe to have discovered. While researchers are at a loss to thoroughly explain why the impossible galaxy has no dark matter, they have come up with a plausible theory. 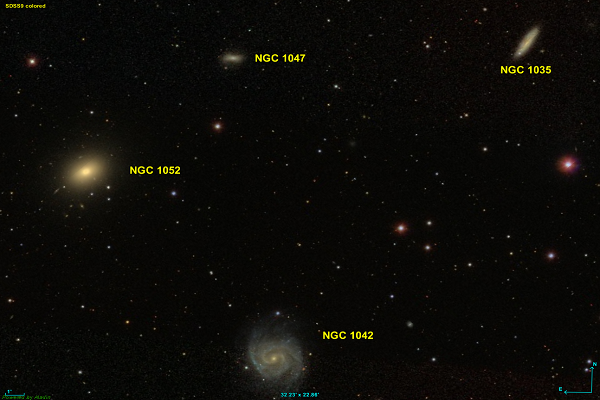 This points out that this galaxy sits next to the NGC 1052 galaxy. As such, some believe that the NGC1051-DF2 galaxy may have formed in a cloud sent off by this latter, larger galaxy. Peter van Dokkum says that this discovery calls into question many things that astronomers previously thought they knew about how galaxies were formed. Up until this finding, astronomers believed that galaxies started off their life as dark matter. Then, gas was thought to fall into its halos before eventually becoming stars. Now, scientists are not as sure about how galaxies come to exist. While some specialists are perplexed by this impossible galaxy without dark matter, others are raising questions about what this means in relation to well-known theories surrounding things such as gravity. As it is, this discovery will likely continue causing debates for many years to come. Current study findings are available in a paper in the journal Nature. Our planet’s life force, water, may be more common than expected. Researchers of a new study have found evidence that water exists deep within Earth’s mantle, approaching 640 kilometers and possibly beyond. This was seemingly confirmed after scientists examined a number of diamonds from around the world. To reach this conclusion, researchers analyzed diamond samples from locations in Africa and China using a number of techniques, including the use of infrared light at the US Department of Energy’s Lawrence Berkeley National Laboratory. The study, published in the journal, Science, looked at microscopic pockets of a trapped form of crystallized water molecules taken from the aforementioned diamonds. These traces of crystallized water, trapped in spaces known as inclusions, measure just a few microns in length and contain the molecular signature of ice VII. Researchers believe that this form of water sprung into existence after liquid water was subjected at very high pressures. The structure and chemical techniques of the crystallized water helped the researchers to determine the pressures and temperatures at which the diamonds were created. This also allowed them to estimate the depths of the diamonds’ formation. 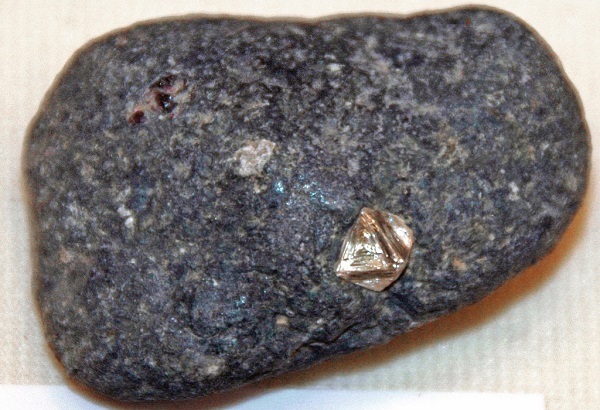 According to the study, the diamonds appeared to originate from deep inside the Earth, within the transition zone located between Earth’s upper and lower mantles. Researchers found that some of the inclusions likely developed from fluid existing at depths of 402 km to 547 km beneath our planet’s surface. However, some diamonds seem to point to an even deeper point of origin, ranging from 610 to 800 km in depth, possibly within Earth’s “shallow” lower mantle. “It’s not just a curiosity to have a diamond residing deep in Earth’s mantle- this is direct evidence for aqueous fluid in the deep Earth,” said the study’s lead author, Oliver Tschauner, a professor at the University of Nevada, Las Vegas. Stephen Hawking believes that the Big Bang also gave birth to time as we know it. Every galaxy in this whole universe can be traced back to a single event that is believed to have sprung everything into existence. 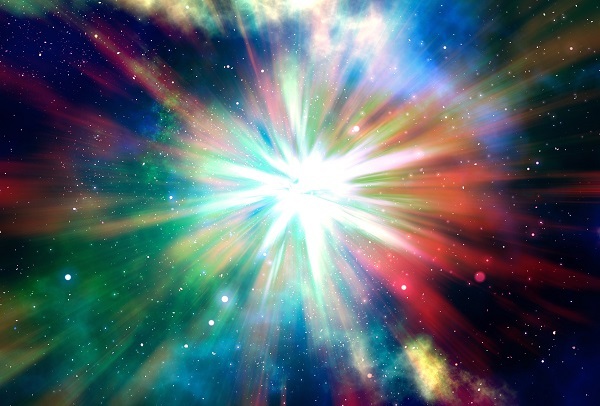 This event, called The Big Bang, was an explosion that scientists believe took place 13.8 billion years ago, a feat so powerful and so massive that is set the universe in motion. However, many still wonder what the actual ingredient was that allowed for such an event to transpire. Was it God, or was it merely chaos changing its name to existence? Renowned physicist, Stephen Hawking, believes he may know what existed before the Big Bang and the answer, like the mysterious event, is overwhelming and underwhelming at the same time. The answer was revealed to another celebrated physicist, Neil deGrasse Tyson, on the Star Talk show. Hawking thinks that it wasn’t the Big Bang that caused something to be created out of nothing. The physicist claimed that there has “always been something” behind the Big Bang, but from the point of view of humanity, that something would equal nothing. Hawking said that anything that existed prior to our universe has no role to play in everything that came after, and thus it could be left out of any theories that could explain our observations. He believes that at the moment of the Big Bang there was a singularity where all the laws of physics “were broken down”. “The universe will evolve from the Big Bang, completely independently of what it was like before,” Hawking said. He also suggested that the beginning of the universe had “imaginary time” and to understand this, Hawking, said to imagine time as a horizontal line. The past is on the left of the line and the future is on the right. While doing so, add a vertical line to the mix and that becomes imaginary time. Hawking said that this time is not the “kind of time we normally experience” and the four-dimensional “Euclidean space-time” it would create with the three dimensions of space would be almost impossible for anyone to imagine. 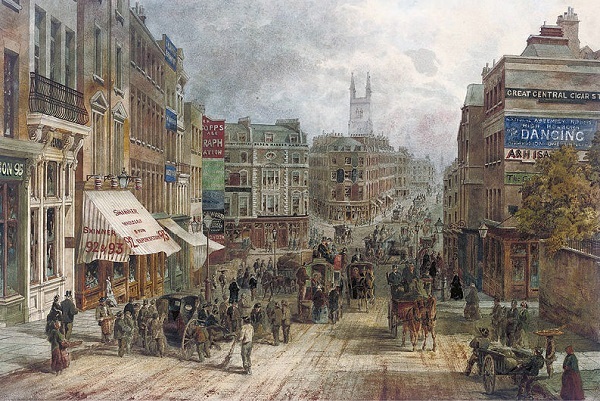 Time as we know it began at the Big Bang, and this event was determined by the state of the universe in imaginary time when the event took place. Researchers from the University of California, San Diego, have found a strain of bacteria that lives on our skin which may protect us from skin cancer. The discovery could one day lead to treatments that manage or even prevent skin cancer. According to the researchers, this strain of bacteria is able to keep skin cancer at bay by suppressing the spread of tumor cells triggered by over-exposure to the sun’s ultraviolet (UV) rays. The bacteria contain a chemical compound that halts DNA formation. This process was observed in mice which were injected with a strain of Staphylococcus epidermidis, the strain of bacteria responsible for making the compound. Staphylococcus epidermidis are the most numerous of the many bacteria that normally live on human skin. 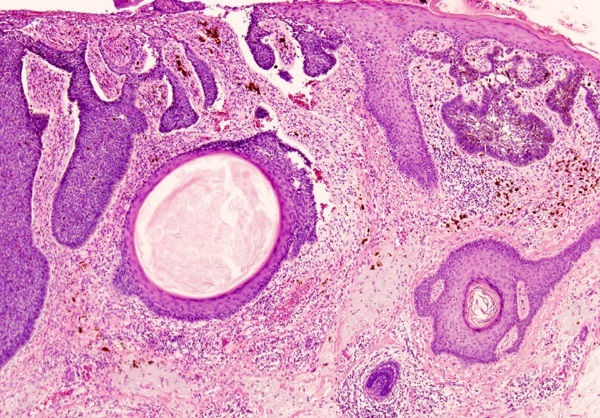 While the findings were unusual and noteworthy, the team was not actively looking for a treatment for skin cancer but rather searching for evidence that S. epidermidis could kill off pathogenic bacteria. Researchers originally focused on the inner working of “good” bacteria and how they can prevent bad bacteria from spreading. The compound which was the most efficient against bad bacteria was 6-N-hydroxyaminopurine (6-HAP). Researchers knew that cancer cells have runaway growth so they wanted to see if the 6-HAP compound could inhibit those cells. The compound was able to stop DNA formation in different tumor cells grown in the lab. However, they noticed that the 6-HAP was not able to prevent the spread of cancer cells in normal skin cells, as certain enzyme found in human skin deactivated the compound. Thus, Gallo and his team injected mice with skin cancer cells, after which the rodents received either a shot of 6-HAP or a placebo. Tumors grew in both groups, however, the mice that received the compound had tumors about half the size of those in mice without the compound. The study was published in the journal, Science Advances. Two lunar missions find evidence that the moon has widespread water distribution. Data from NASA’s Lunar Reconnaissance Orbiter and from India’s first lunar mission, Chandrayaan-1, revealed that the moon’s water is widely distributed across the lunar surface, and not limited to certain regions. The findings may help figure out the origin of the Moon’s water and may, in turn, provide future manned missions to the moon with a valuable resource. The recent findings would contradict previous studies where it was suggested that more water could be found at the moon’s polar latitudes. These studies also theorized that the strength of the water is affected by the lunar day, which is 29.5 Earth days. “We find that it doesn’t matter what time of day or which latitude we look at, the signal indicating water always seems to be present,” said Joshua Bandfield, a senior researcher at the Space Science Institute in Boulder, Colorado, and one of the authors of the study that details the findings. 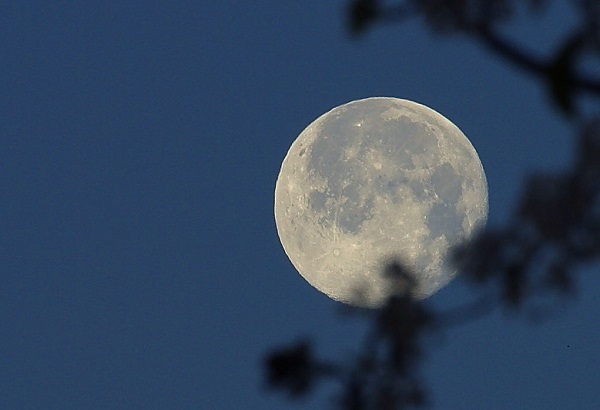 According to the study, if the moon contains enough water, future lunar explorers could use it as drinking water or convert it into hydrogen and oxygen for rocket fuel or oxygen. However, the lunar water is not the same as the one we are familiar with here on Earth. The finding of widespread and immovable water on the moon suggests that it exists mainly as hydroxyl, or HO, a reactive relative to H20, Earth’s water. Hydroxyl can’t exist on its own for long as it can attach itself to other molecules. This would mean, that future astronauts on the moon would have to extract the water from minerals before using it. Researchers also noticed that the lunar water does not move between regions, nor is it loosely attached to the surface. Further research needs to be conducted as to provide an accurate answer for the lunar water actually comes from. LRO project scientist, John Keller of NASA’s Goddard Space Flight Center, said that such a conclusion can only be achieved by “drawing on multiple resources from different missions”. The study was published in the journal, Nature Geoscience. A new study suggests that several planets orbiting the TRAPPIST-1 star may hold water. The TRAPPIST-1 star, an ultra-cool red dwarf located 40 light years away from Earth, is thought to have at least three planets capable of supporting life. These planets were singled out due to their goldilocks orbit, meaning they could have liquid water. Now, two studies, one observational, and the other theoretical, suggest that the TRAPPIST-1 planets are terrestrial in nature. Thus, it is presumed that the celestial bodies are similar to planets such as Earth and Mars rather than to gas giants such as Saturn or Jupiter. More so, the studies suggest these planets harbor volatile materials including water. The first study, published in the journal, Nature Astronomy, focused on the planets’ atmosphere, relying more on The Hubble Space Telescope. Through the telescope, scientists were able to observe the star’s light as a planet passes in front of it. Tiny photon fragments that pass through the planet’s atmosphere can be observed from Earth via the telescope. Any light regardless of its color that is absorbed or scattered by the gases in the atmosphere will be missing from those fragments, thus allowing the researchers to predict the atmosphere’s composition. However, study co-author, Hannah Wakeford, of the Space Telescope Science Institute claims that the Hubble has been stretched to its maximum capability, meaning that the results are limited and not conclusive. This is where the second study comes in. The paper, which will be published in the Astronomy & Astrophysics journal, was based on data obtained from both space and ground telescopes. Lead author on the study, Simon Grimm of the Center for Space and Habitability at the University of Bern, and his team applied complex computer modeling methods to all available data to obtain accurate estimates for the densities of the TRAPPIST-1 planets. “With a computer model, we simulate the planet’s orbits until the calculated transits agree with the observed values, and hence we derive the planetary masses,” said Grimm. 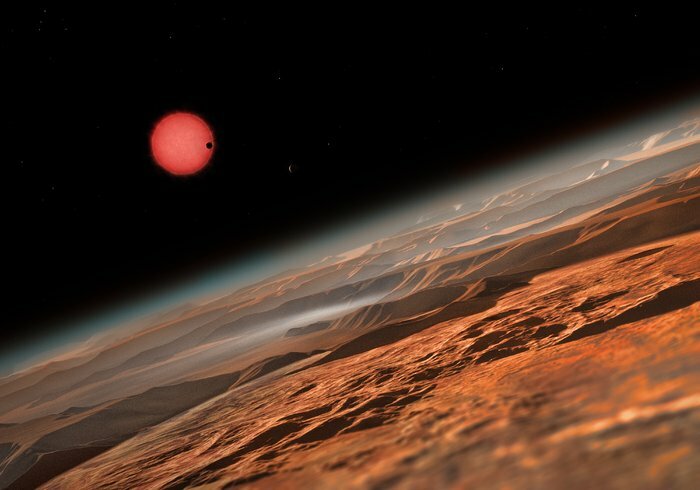 According to the study, some TRAPPIST-1 planets could have up to 5 percent of their masses in the form of water. Earth has 0.02 percent of its mass in the form of water, meaning that some of these planets could have approximately 250 times more water than Earth’s oceans. Scientists have discovered ‘amxiety cells’ inside the brains of mice. Researchers have identified neurons that were shown to regulate anxiety levels in the brains of mice. These ‘anxiety cells’ may shed light on how the human brain responds to intense stress and in turn, open the way to potential treatments to combat anxiety. Neuroscientists from the University of California, San Francisco, and Columbia University’s Irving Medical Center started out to pinpoint what exactly in the brain causes the feeling of anxiety. The study was published in the journal, Neuron. 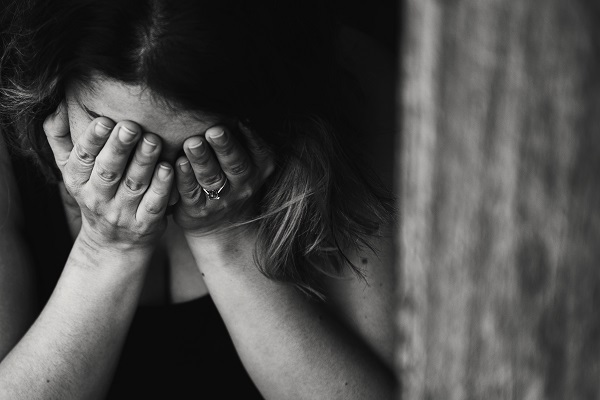 According to the National Institute of Mental Health (NIMH) an anxiety disorder is defined by one’s constant fear and worry during day to day activities. Some examples include panic disorder, social anxiety disorder, and generalized anxiety disorder. Researchers were able to pinpoint these anxiety cells by inserting microscopes into the brains of mice to record cell activity in the hippocampus. This is a region in the brain present in both mice and humans considered to be responsible for helping us learn, create memories, and feel emotions. After inserting the microscopes, the researchers then put the mice in stressful situations and monitored their brain activity. Co-author of the study and professor of psychiatry at CUIMC, Rene Hen, Ph.D., claims that ‘anxiety cells’ are those that become active when animals are put in places that are “innately frightening to them”. In the case of mice, this is when they are in an open area where predators are likelier to attack, or an elevated platform. To be certain that these cells caused anxiety, the researchers used a technique called optogenetics, which involve the use of beams of light that control neuron activity. By turning the cells on or off, the rodents exhibited drastically different behavior. When the cells were silenced, the mice spent more time climbing elevated platforms while stimulating the cells caused them to exhibit more anxiety behaviors. Researchers hope that this discovery may one day lead to treating humans with anxiety disorders. Best friends have matching brain activity when shown the same clips, a study revealed. Brain scans can accurately show just how much you and your best friend are on the same wavelength, a new study revealed. According to a study, published in the journal, Nature Communications, brain waves of close friends line up when they are shown clips pertaining to a wide range of subjects. More so, researchers claim that neural activity can be measured to classify one’s closeness to their companion. The study was conducted by social psychologist, Carolyn Parkinson of UCLA and his colleagues. They noticed that friends’ brain waves matched when watching various video clips. “Neural responses to dynamic, naturalistic stimuli, like videos, can give us a window into people’s unconstrained, spontaneous thought processes as they unfold,” notes Professor Parkinson, who led the study. To reach this conclusion, Parkinson and his team studied the friendship or social ties of nearly 280 graduate students. 42 participants were asked to watch a series of videos while their brain activity was recorded by a magnetic resonance imaging scanner (MRI). The videos covered a range of subjects, including politics, comedy, music videos, and science. Each student watched the clips in the same order. The researchers then compared the neural responses of various pairs across the set of participants to establish which of them were best friends and which were removed from each other within their social network. MRI scan similarity was found to be strongest among friends, this pattern being present across brain regions involved in high-level reasoning, emotional responding, and directing one’s attention. In order to be certain of the results, researchers introduced variables such as being left-handed or right-handed, age, gender, ethnicity, and nationality. 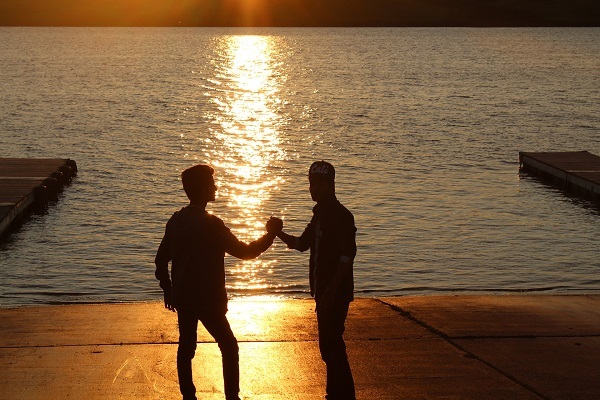 Even with these factors taken into account, the results still pointed to strong mental similarities between best friends. The scientists claim that this brain scanning process can also predict the social distance between two people.